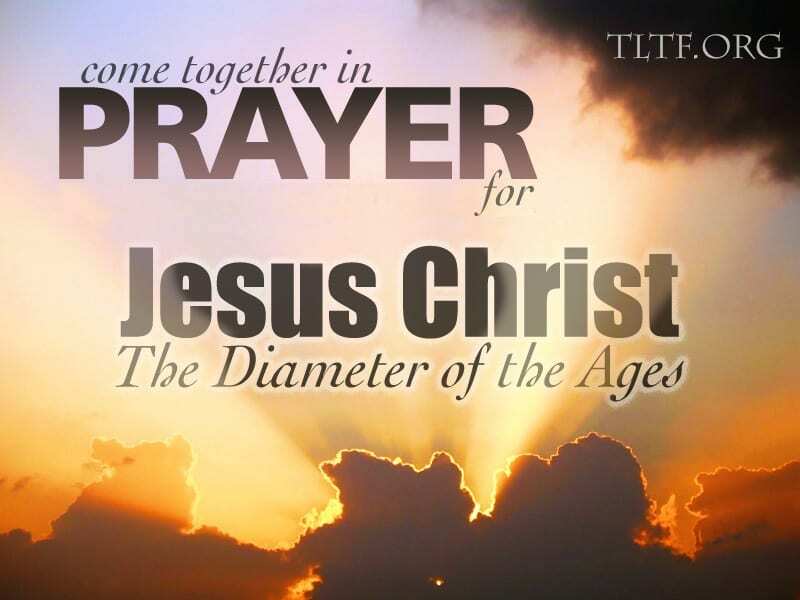 As you read this, I am immersed in preparing the content of this month’s landmark video production, Jesus Christ: The Diameter of the Ages, which I estimate to be about 20 hours of teaching. The only other things I am doing are sleeping and exercising to rehab my body after my May 2 hip replacement surgery, and eating as much as I can in order to regain the weight I lost as a result of that. On July 8, Elizabeth and I will head toward Orlando with a carload of clothes for the film. On Monday, July 11, we’ll be joined at GRP Studios by about 20 brethren from around the country for a day of set up, followed by six more of filming. Culminating in the past month, Franco Bottley and I have been poring over every aspect of this endeavor, and he is scrambling to put together the many, many graphics we will use in the video, along with a lot of music, some of which we are producing. Both of us are facing new challenges because, unlike how we did One Day With The Creator in 2011—with a physical set, JCDA will be filmed on a virtual set. We are counting on the Lord Jesus to work with us so that this presentation glorifies him to the max. Needless to say, given that the Devil is just hateful to begin with, and that the Lord Jesus Christ has announced his eventual destruction of said Creep, our Adversary absolutely hates this project and will do whatever he can to mess it up. So please cover us in prayer, as we really need that spiritual support. Pray for Franco’s health, for my energy level to be sufficient, for the health and safety of the crew, and for all of us who are involved to be inspired by the Lord so that every detail is the best. Hebrews 13:8 says, “Jesus Christ is the same yesterday and today and forever.” For nearly 2000 years he has stood tall above all humanity as the constant epitome of godliness—ready, willing, and able to rescue everyone who calls out to him. For those floundering in the sea of human speculation and misery, he has been, and still is, the unwavering, absolute beacon of light, love, and truth to mankind. He is THE ONLY WAY, THE ONLY TRUTH, THE ONLY LIFE, and God proved that to all men when he raised him from the dead (Acts 17:31). Now known as “postmodernism,” this fallacy that each person creates his own reality is nothing more than man playing God, a la Genesis 3. As the Last Adam, Jesus Christ stands in stark contrast to the self-centered nature each of us inherited from the First Adam. Jesus changed Adam’s death-dealing, “I’ll do it my way” into a life-giving, “I’ll do it thy way.” And so, the supposedly “new” Religion of Self is actually 6000 years old. The best way to find yourself is by looking within yourself. People should not criticize someone else’s life choices. To be fulfilled in life, you should pursue the things you desire most. The highest goal of life is to enjoy it as much as possible. People can believe whatever they want, as long as those beliefs do not affect society. Any kind of sexual expression between two consenting adults is acceptable. 23 Then he said to them all: “Whoever wants to be my disciple must deny himself and take up his cross daily and follow me. 24 For whoever wants to save his life will lose it, but whoever loses this life for me will save it. 25 What good is it for someone to gain the whole world, and yet lose or forfeit his very self? The irony of God’s truth, as both expressed and literally modeled by Jesus on the cross, is that such self-sacrifice (dying to self) is the only way to the kind of self-fulfillment God wants us to have. The “Biggest Loser” is the Biggest Winner. Philippians 2:3-4 sums it up well: “Do nothing out of selfish ambition or vain conceit. Rather, in humility value others above yourselves, not looking to your own interests, but each of you to the interests of the others.” The more you and I identify with Christ’s interests in others, the more he will work within us to fulfill our spiritual lives and help us bear fruit for his sake. Jesus Christ is far and away the most famous, most controversial, and most polarizing human being who ever lived. Everyone unconsciously acknowledges him as the fulcrum of history every time they check the date on their phone, laptop, iPad, watch, or the magnetic calendar on the refrigerator (B.C./Anno Domini). CHRISTmas is the most famous day of the year all over the world—and the only one on which most people on earth think of the same man. Anyone who leaves his own home on a daily basis usually hears his name: (“Jesus Christ!” or “For Christ’s sake!” or “For the love of Christ”). And he is the subject of the Bible from Genesis 3:15 through the Book of Revelation. And yet I submit that The Man from Galilee—the only begotten Son of God—has been given short shrift, even by the well-meaning CHRISTian Church that bears his name. I assert that his magnificent accomplishments have been minimized, that his unparalleled heroism on our behalf has been obscured, and that the beauty of his godly heart has been buried by a tidal wave of religiosity that has carried him out of reach for most Christians. Surely there is a need for the biblical exposition we will set forth in JCDA about The Ultimate Hero.